Discord and cardigans, they're today's rock and roll. Every big old dude in a black JD tee shirt was once the equivalent of today's nubile, effeminate boys making guitars sound like gardening equipment and barking instructions. I wonder what the noise-geeks will look like once time has taken its toll? Probably Hugh Laurie, which would be a result, really. So here it is with Ice, Sea, Dead People a band whose love of militant Black Flag is as obvious as their admiration for the insanity of Lightning Bolt and The Locust. This is no strange thing these days: American and the UK are packed with kids making a racket and charging around the country making other kids freak out. So why does it never get boring? 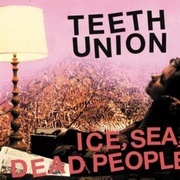 Certainly on Ice, Sea, Dead People's new LP Teeth Union it's because it's done well. 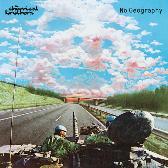 In their insistence on writing banal instructions rather than songs ('My Twin Brother's A Brother' is a particularly considered piece of idiocy), they immediately put the listener on the back foot and assume the authoritarian stance. You're listening to their music, so deal with it or turn it off because as long as you have it playing, you can't concentrate on anything else. 'Grean Tee' bursts sharply into its hypnotic groove and mess of noise. There's a funk to it all, James Chance made noise really funky but he had saxophones, these guys use a rigid drumbeat and bass that's played like radio interference to make you dance. As the song snaps into a more cinematic death march, front man Craig Sharp snarls like he's just accidentally pissed himself while grasping the bathroom door handle, he embodies the sound of pained frustration. Like anything where the emphasis is on intensity, Teeth Union benefits from being short. 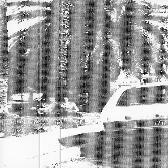 Unlike, say, Cat On Form's sometimes-overlong Fugazi-esque discourses, Ice, Sea, Dead People wisely keep it short and endearingly irreverent. As they finger-tap the hell out of their fret boards in 'Just Klein' and really lock their instruments in 'Laser Brain' ICDP provide snotty, disposable songs where texture and groove find ways to forge melody where there should really be none. It's a thrill, and as it closes with the thrash of 'Until We Break Our Legs' (an opus for them at three and a half minutes) you hear them stretching their instruments so much, trying to make such a variety of pained chords in their quest to find split seconds of melodic magic, so tense it's amazing nothing snaps. This album works as an explanation of exactly why this tense, chaotic guitar attack is always so much fun, no matter how much it hurts. It makes a hero of every kid who can turn their guitar up too loud.